As outlined in Post #51. Your posting in Easy VHS to DVD 3 Plus and I assumed that was the software you were using? That said what Roxio software in the quote above are you referring to? So it did work by using Windows DVD maker, only issues I didn't like was that the text of each video clip doesn't show on actual DVD like it did from Roxio. IF you added Text to a clip, it should have been in the Exported file. EVD has no provision for Chapter Menus. 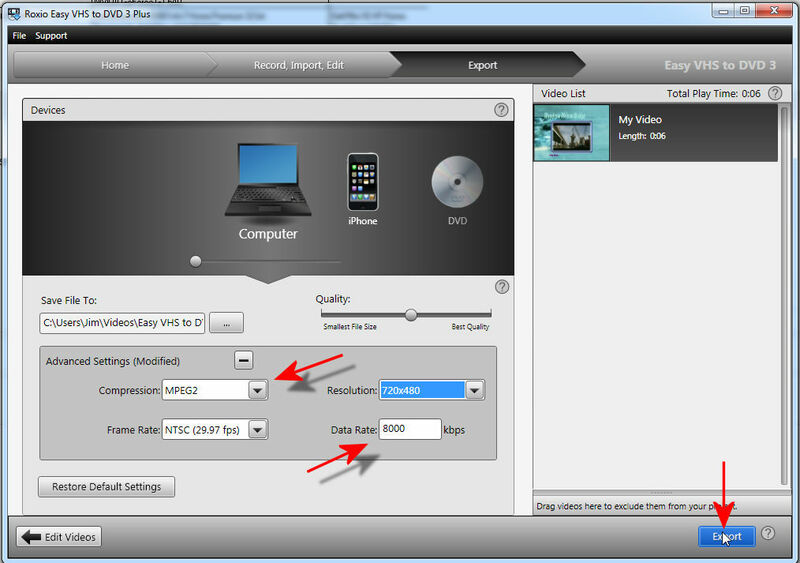 Chapters (Next - Previous on your remote) are created for each "clip" in the Project but only apply to an Export to DVD. You can add a Text Overlay... Theirs runs for a little over 9 seconds and it would be overlaid across the beginning of your clip. I prefer 5 seconds (don't get wordy) but use Creator NXT for my work. Now that you are getting success, you are starting to want more To do that you will have to go into a more sophisticated program like the Creator series... Of course they are much more complicated. A good disc NOW or a perfect presentation later??? I understand what you are saying, but you are saying the option is there to have lower quality to make more time on the DVD...the issue is that Windows DVD maker doesn't have an option at all about having lower quality to make it longer or even like an auto fit option. It simply won't let me do more than the hour. Chapter Menus are part of the Authoring program and not transportable between programs. 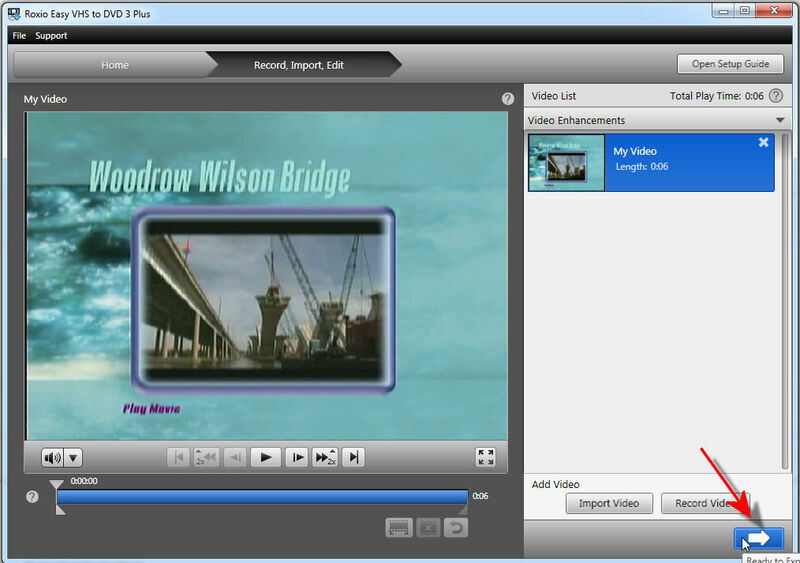 Did you play the video that you exported and does it contain the text that you added? If yes then Windows DVD Maker has to contain that text. (BTW, where did you get Window Movie Maker since it is not part of W8?) Very few of us know anything about Windows Movie Maker. Could you explain exactly step-bystep how you are adding the text? Do you want each of the 50 clips to be a menu item? In post #5 you said you re using W8 - now it's W7. The text should be there as it is Not Subtitles which are actually a separate file for DVD. Roxio 'text' is added into the clip as an overlay. If anyone wants to take a crack at this, please do.